For me one of the major themes of the film is how (rightly or wrongly) we can come to believe we are special or chosen. 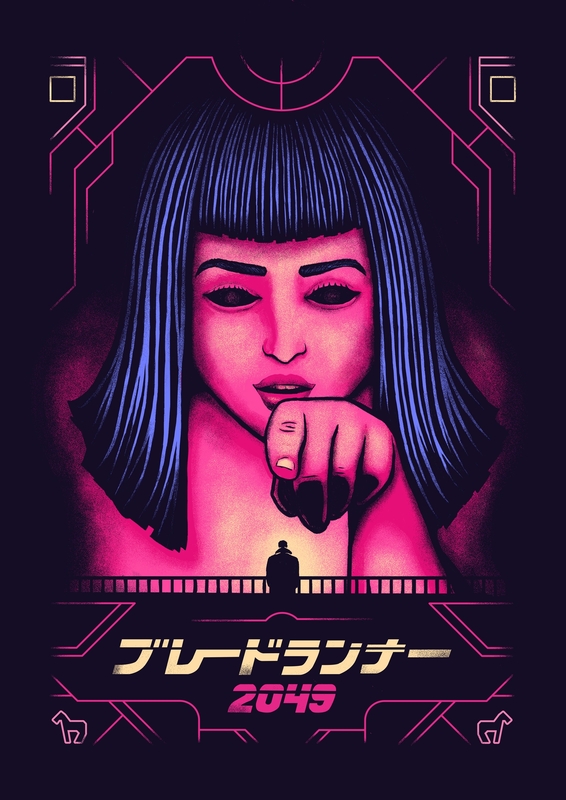 I felt this was beautifully summed up in the scene where the hologram/advertisement of Joi is pointing at K, and it was this moment which inspires my poster. Sidenote: I decided to use the Japanese characters over English as I felt they fit in better with the cosmopolitan world of the movie.